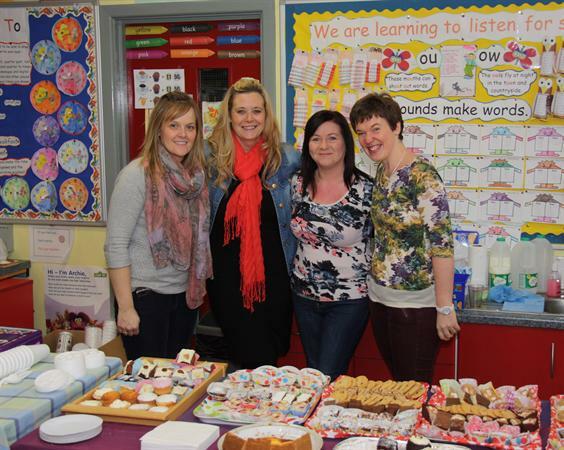 The PTA Committee would like to thank parents, staff, friends and families for their continuing support of all our events - whether it's coming along, helping, or providing buns or toys for our craft fair. Our Craft Fair was a great success, bringing our school community together, whether buying, selling, enjoying refreshments or getting crafty with the Jumping Clay and Potter's wheel. You generously supported our Christmas Raffle, selling lots of tickets to friends and family, as well as generously contributing prizes. The children celebrated Christmas in style with Christmas crackers provided by the PTA and each child received a selection box complements of the PTA. You helped the school to run their annual Scholastic Book Fair in March in conjunction with World Book Day, encouraging your children to read, while raising money for the school with each book sold. Easter brought great excitement with probably the largest number of eggs and Easter related prizes at the Easter raffle, and each child brought home an egg, whether chocolate or Kinder, supplied by the PTA. Sports Day is one of the highlights of the school year, made memorable by the Morellis ice-cream sold by the PTA - perfect for a hot summer's day! And finally, thanks to the PTA, the Primary 7 Prefects enjoyed a subsidised trip to Sheepbridge Bowling alley. As a result of your generosity, your children in Primary 1&2 have enjoyed the newly installed log cabin which houses the state of the art sand pit. More money has been set aside for additional outdoor play equipment. Children in Primary 5, 6 & 7 have benefitted from new class reading books to the cost of £1000. Please continue to support PTA events, and if anyone is interested in joining the committee and can attend meetings (usually only one per term) on a Monday night, and can give their time then please contact the school.